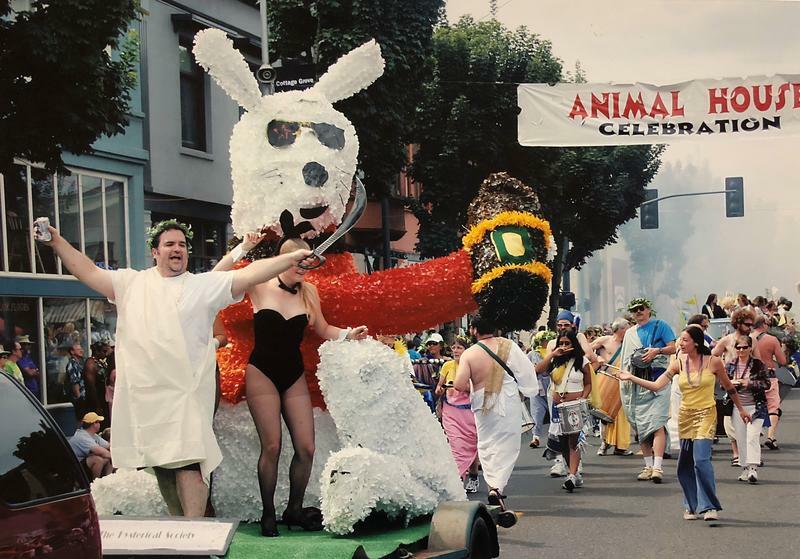 Last month, we reported on the 40th anniversary “Animal House” celebration, including Cottage Grove’s attempt to reclaim the record for World’s Largest Toga Party. 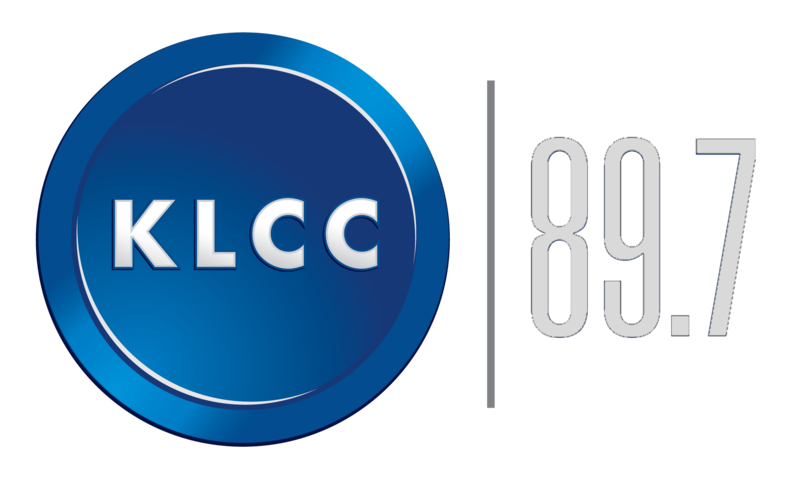 KLCC’s Brian Bull has an update. 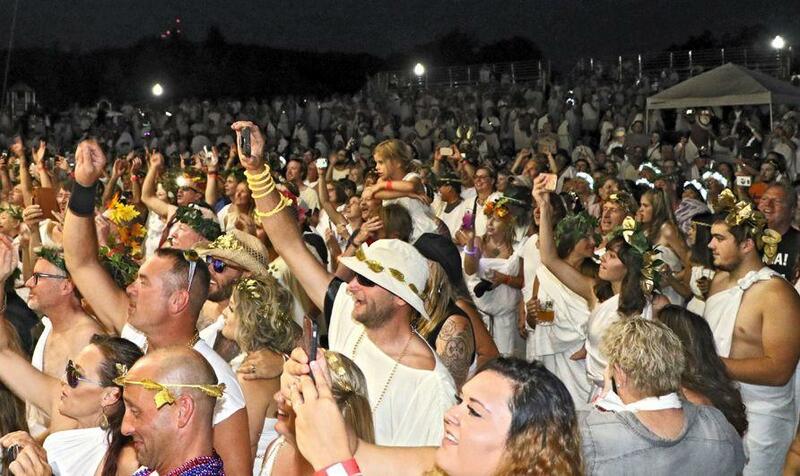 Some of the estimated 3,800 toga-clad revelers at Cottage Grove's 40th anniversary "Animal House" event. Organizers say they had 3800 people in togas, enough to beat the current record of 3700 reached by Australian university students in 2012. 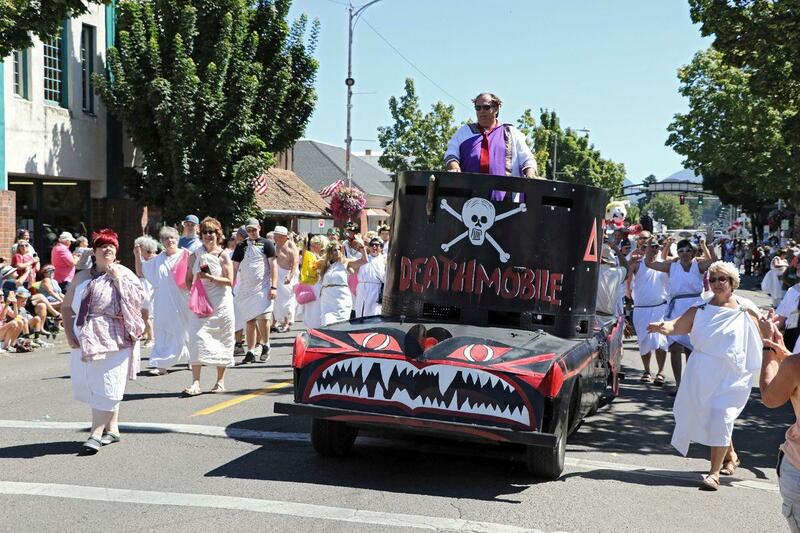 The Deathmobile parades down Cottage Grove's Main Street in last month's celebration of "National Lampoon's Animal House" which was filmed in parts of the town as well as Eugene. Guinness officials disagreed. Now locals must regroup and plan ahead for the next try. Travis Palmer of the Cottage Grove Chamber of Commerce says several factors – including ticket scanning issues – hampered their toga count. But he’s still pleased. 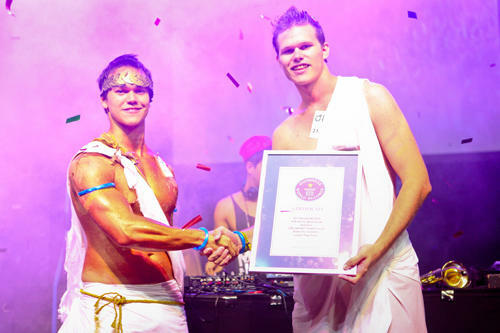 In this 2012 photo, Tasmin Trezise (right) - President of the QUT Student Association - receives official Guiness World Record recognition for a toga party he organized with another local university. In an email to KLCC, Tasmin Trezise of the record-setting toga party in Brisbane says he wishes Cottage Grove well in their next attempt. 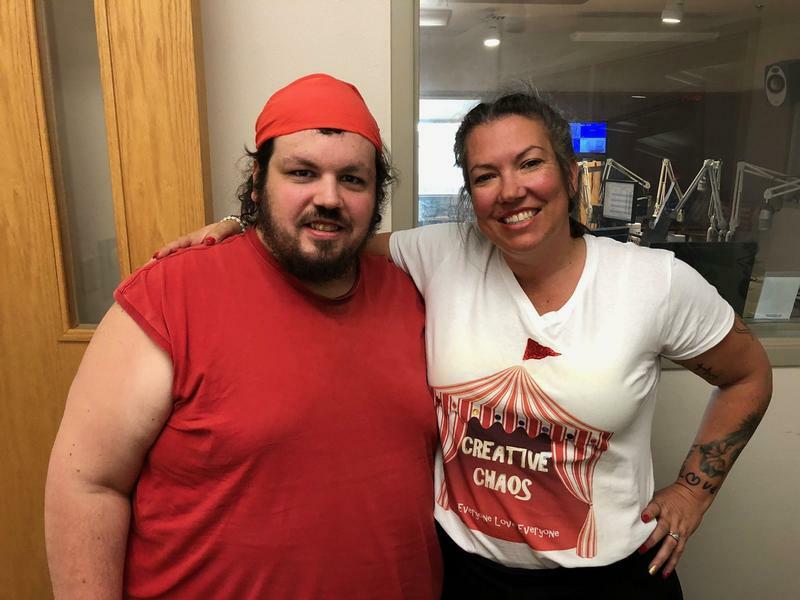 He says the movie “Animal House” gives cultural importance to the ideas of fraternity and challenging authority…and nothing brings people together like a toga party. Cottage Grove first established the record in 2003 during its 25th anniversary celebration of the movie.